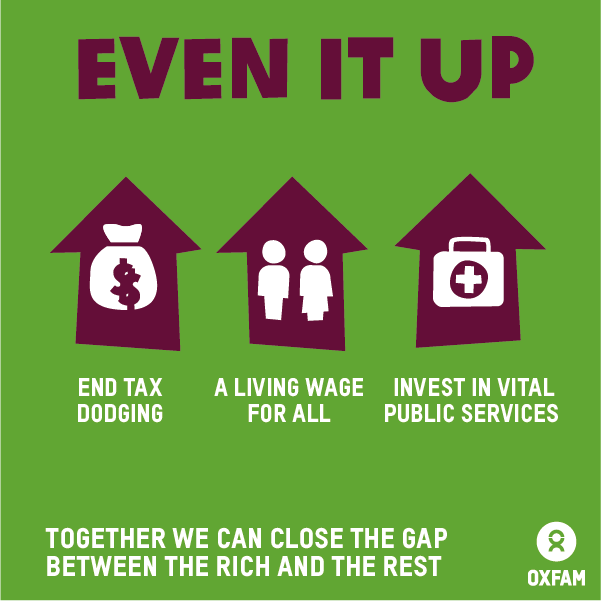 Our friends at Oxfam give us a bit more insight into these issues, and why they’re so significant for every person on the planet. Across the world, the gap between the rich and poor is spiralling out of control. The richest get richer, while millions of people struggle for food, water and shelter. It’s hurting us all and standing in the way of ending poverty. Our challenge to you is to write a poem or spoken word piece exploring global inequality or gender inequality. The challenge is open to young people aged 11-25 from the UK, and to teachers entering their pupils’ work. The deadline is 31 March, so there will be plenty of time to be inspired by International Women’s Day on 8 March. Global inequality – more or less equal? It’s not about being anti-rich; it’s about being pro-equality and fairness. Everyone should have the chance to receive an education, get treatment if they’re ill, find a job which doesn’t exploit them or make them unwell, and to give their children the best chances in life. Gender inequality – mind the gender gap. Does a baby’s gender make a difference to its life chances? Yes, overwhelmingly. Women account for two thirds of the people currently living in extreme poverty, and also account for 60% of the working poor in the world. Globally, women own fewer assets than men. They earn less money, have fewer legal rights, do the vast majority of unpaid care work, and are grossly under-represented on the political stage. They’re often legally discriminated against too: 128 countries still give women a lower legal status than men. One in three women will suffer physical or sexual violence in their lifetime, meaning many are also living in constant fear of abuse. We need to tackle gender inequality because of the unjust and damaging effects on the well-being of women and girls. Doing so will also have wider benefits. Women have the greatest potential to end the poverty and injustice that they and their families and communities face. If women had the same opportunities as men in the labour market this could add $12trillion (£7.8trillion) to the size of the global economy. And the money which women earn goes straight back to their families: girls and women spend 90% of their earned income on their families, while men spend only 30-40%. 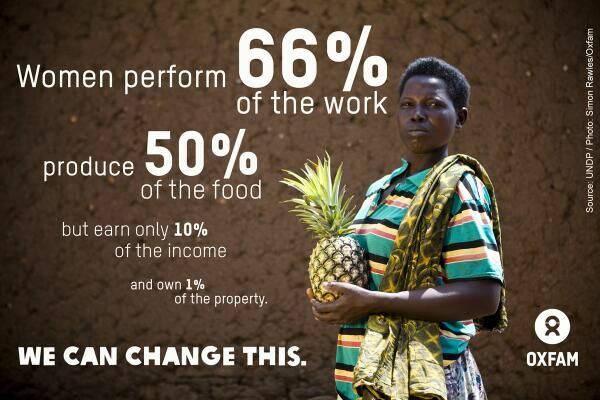 Imagine the boost equal opportunities would provide to women and to their families! In fact 100-150 million people could be lifted out of hunger by closing the gender gap in agriculture alone. A world that invests in women’s rights is a world that invests in the end of poverty for everyone. We want you to write a poem or spoken word piece in direct response to inequality. We are thrilled that Sadia Ahmed, winner of SLAMbassadors UK 2014, will be judging this challenge! See below to be inspired by Sadia’s own spoken word. You could explore the Oxfam resources and research your chosen topic, or write about your immediate reaction to the information included in the challenge. You might choose to write from one side of the situation, or take in both sides of the divide. It could be a very personal poem, or a very general poem about how inequality affects whole communities. You might want to incorporate statistics from the Oxfam infographics, or from your own research. Read ‘Daughters’ by Phoebe Stuckes, a winner of the Foyle Young Poets of the Year Award 2013. 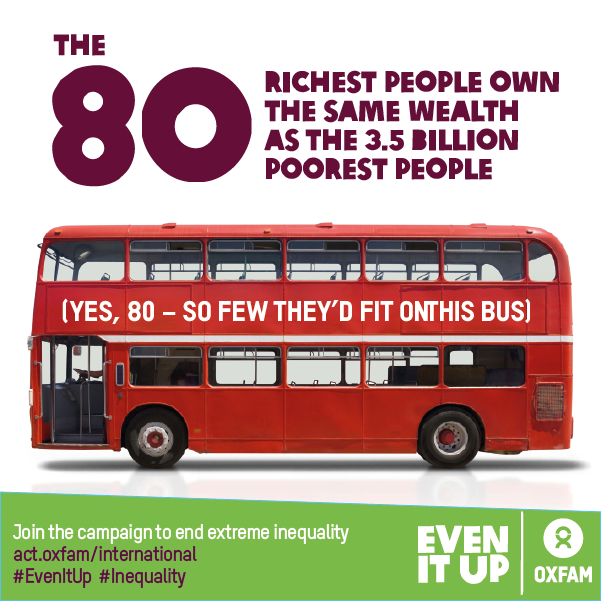 Take the inequality quiz to see how much you now know on the topic. This challenge is now closed. Check back here to find out the winners! The selected poets from each age category will be published on the Young Poets Network and the Oxfam websites and sent an exclusive Young Poet’s Network notebook. For teachers entering a minimum of 10 poems your names will be entered into a random prize draw for the chance to win a free poet visit to your school. If you are a teacher reading this, we have good news! We have produced a whole set of resources suitable for students from ages 11+. It contains plans for lessons and an assembly to introduce students to the challenges of inequality and encourage them to write poetry in response. The resources are especially suited to English teachers but you can take part in this challenge in or outside of curriculum time. If you are working with a group of young people volunteering in their own time why not sign them up to become Oxfam Youth Ambassadors. This is a prestigious scheme (completely free) which rewards young people for developing their skills on making their voices heard as global citizens.